No. of Post : 15, Sergeant- 684, which could be revised later on. Salary : The posts carry the Pay band scale of Rs. 7100 - 37600 + Grade Pay Rs. 3900 (PB-3), plus other admissible allowances. PHYSICAL MEASUREMENT: – The physical measurement relating to height, weight and chest of the candidates shall be taken by special team(s) constituted for the purpose by the Kolkata Police Recruitment Board. notification No. 5077-PL/PI/8C-04/2009 (PT-I), Dated 05/12/2011 Govt. of West Bengal, Home Department, the written Examination will consist of three papers and will be held on a single day. Paper – I English, General Studies and Arithmetic carrying a total of 100 marks. This paper will consist of multiple-choice objective type questions on English (20 Marks), General Studies (40 Marks) and Arithmetic (40 Marks) and will be of one and half hour (11/2) hrs. duration. Paper – II English (Conventional Type). Paper – III Bengali/Hindi/Urdu/Nepali (Conventional Type). Application Fee : Candidates must deposit a fee of Rs. 150/- (Rupees One Hundred Fifty) only in the form of A/c payee Demand Draft from any Nationalized Bank or IPO in favour of ‘Kolkata Police Recruitment Board’ (KPRB), payable at Kolkata. It may be noted that Treasury Challan, Money Orders, Cheques, Cash etc. will not be ccepted. Complete application along with all enclosures must reach, latest by 5:00 PM on 03/02/2012 and shall be addressed to “The Member Secretary, Kolkata Police ecruitment Board,112 Ripon Street, (New Building) 3rd Floor, Kolkata, Kolkata- 700 016”. by ordinary post/registered post/ under certificate of posting only. Applications sent by courier or by hand will not be accepted in any condition. Applications sent other than the above mentioned address will not be accepted in any condition. Qualification : Graduate in any discipline with 60% marks OR equivalent qualification from the university/Institute recognized by the Government of India and working knowledge of MS Office. For SC/ST/PWD: Graduate in any discipline with 55% marks OR equivalent qualification from the university/Institute recognized by the Government of India, and working knowledge of MS Office. Selection Procedure : Selection for the post of Management Trainees will be made on the basis of performance in Common Written Examination (CWE) for the post of anagement Trainees held during 2011 conducted by IBPS and Personal Interview. The Bank reserves the right to change the selection procedure, if necessary. Application Fee : Rs.200 /- (Rs.50/- for SC/ST/PWD) to be paid cash in any branch of PNB. How to Apply : Apply Online only at Punjab National Bank website from 30/01/2012 to 13/02/2012. Qualification : 1. Good academic record with at least 55% marks (or an equivalent grade in a point scale wherever grading system is followed) at the master’s degree level in relevant subject from an Indian University, or an equivalent degree from an accredited foreign university. 3. Notwithstanding anything contained in 1 and 2, candidates, who are or have been awarded Ph. 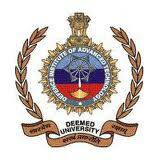 D Degree in accordance with the University Grants Commission (Minimum Standards and Procedure for Award of Ph. D. Degree) Regulation, 2009, shall be exempted from the requirement of the minimum eligibility condition of NET/SLET/SET for recruitment and appointment of Assistant Professor. Application Fee : 1. Rs. 1000.00 (One Thousand) only through cross demand draft drawn in favour of Central University of Jharkhand” Payable at Ranchi.. 2. SC/ST/PH Candidates need not pay fee. Selection Process : Selection will be made on the basis of candidates’ previous records and their performances in the interview. The University may utilize seminar or colloquium as a method of selection. Prescribed application form with APIs form filled in, complete in all respect, should reach to the Registrar, Recruitment Cell, Central University of Jharkhand, Ratu- Lohardaga Road, Brambe, Mandar, Ranchi-8352085. Prescribed application form and other related information can be downloaded form the Central University of Jharkhand web site (www.cuj.ac.in) and Last date for receiving completed Application form is 21.02.2012 up to 5.00 PM. The Indian Coast Guard, an Armed Force of the Union, offers a challenging and inspiring career as a Group ‘A’ Gazetted Officer in the pay scale for Assistant Commandant at Rs.15600-39100(Revised) with Grade Pay Rs 5400. Qualification : Bachelor’s degree with 60% Male marks in aggregate of a university recognised by the Central/ State Govt./UGC and with a minimum aggregate of 60% marks in Maths & Physics of 12th Class or equivalent. Age Limit : 01 Jul 87 to 30 Jun 91 (both dates inclusive). How to Apply : Applications will only be accepted online. To do so, the candidates need to logon to the Website www.joincoastguard.org. (i) Terms and conditions linked to the form will be displayed and must be read, prior to submitting the form. The candidate will click on the ‘I Agree’ button, and then, immediately the Online Application form will be displayed. The candidate should select the branch as indicated in para 3 above and fill in all the particulars. (ii) After submitting the form an acknowledgement with a Registration number will be provided to the candidate along with date, time and venue of the examination. The filled Application Form, with the number generated will be available to the candidate to save and take a print. For candidates NOT meeting the eligibility criteria, a ‘Rejection Slip, giving the cause of rejection with the Application Number’ will be displayed. The last date of applying online is 30 Jan 12. Career Opportunities In Climate Sciences for M.Sc / B.Tech / M.Tech / MS Graduate. in Meteorology, Atmospheric Sciences, Chemistry, Ocean Sciences, Physics, Applied Physics, Mathematics, Applied Mathematics, Statistics, Geophysics, Geology or any other area of Earth Sciences or any related disciplines with Physics and Mathematics at the graduate level. OR A first class B.Tech / B.E / M.Tech / M.E / MS in Mechanical, Civil, Chemical, Electrical or Electronics or any other Engineering disciplines (detailed list of eligible subjects are indicated in the attached table). Starting date of the training : The training program for the selected candidates is scheduled to start latest by the first week of July 2012.
a consolidated remuneration of Rs.25000/- per month with an annual increment of Rs.1,000/- . The trainees will be eligible for annual leave and medical leave as prescribed. University Campus, Hazratbal, Srinagar-190006, Kashmir. Professor, Director, Deputy Director, Assistant Director, Associate Professor , Joint Registrar, Placement Officer, Additional Controller of Examinatio. Eligibility: For the post of Professor and Associate Professor, the candidates are required to have a minimum score of 400 and 300 respectively in the Academic Performance Indicator(API) based Performance Based Appraisal System(PBAS), set out in UGC Regulations – 2010 in Appendix – III, Table 1 , Category – III of UGC Regulations attached with the Application Form. ii) For the post of Director, Physical Education/Deputy Director, Physical Education, the candidates are required to have a minimum score of 400 and 300 respectively in the Academic Performance Indicator(API) based Performance Based Appraisal System(PBAS), set out in UGC Regulations – 2010 in Appendix – III, Table –IV, Category – III (attached with the Application Form). iii) Candidates must enter the relevant API score in the Part ‘B’ of the Application Form for the post of Professor and Associate Professor and Part ‘C’ for the post of Director, Physical Education and Deputy Director, Physical Education. Each API score must be supported by the documentary evidence, without which no claim on account of API Score would be entertained. Detailed Advertisement Notice along-with the Application Forms is available on the University website www.kashmiruniversity.net / www.uok.edu.in and be sent to the Recruitment Section along-with the Bank Draft of Rs.500/- pledged to the REGISTRAR, UNIVERSITY OF KASHMIR, SRINAGAR -190006 payable at J&K Bank, Ltd. University Campus, Hazratbal, Srinagar. No Postal Order will be accepted. Cost of application form once deposited shall not be refundable. ii) Relevant grade which is regarded as equivalent of 55% wherever the grading system is followed by a recognized University shall also be considered eligible. iii) The appointment shall be governed by the rules and regulations of the University, University Grants and the Union Ministry y of Human Resource Development. iv) Candidates with Ph.D. degree having passed their Master’s Degree prior to 19 September, 1991 having secured 50% or more marks in the Master’s Degree Examination shall also be eligible to apply for the post of Assistant Professor. v) Candidates who are with M.Phil/Ph.D should mention against the Column ‘Academic Record’ the name of the University/Institution along-with the name of Guide/Co-guide under whose guidance he/she has completed the degree. viii) Only those candidates should apply for the posts, who fulfill all eligibility conditions by the last date of submission of Application Forms in the University. ix) The interview call letters shall be sent under Speed /Registered post. However, the University shall not be responsible for any postal delay/lapse, whatsoever. x) Applications of Government servants should be sent through the Administrative Authority concerned, the University Employees through the Registrar of their respective Universities. Applications not routed through the respective channels are liable to be rejected. Candidates may send advance copy of the application form along-with the requisite fee (wherever applicable) before the last of receipt of application. xi) Candidates to be called for interview shall have to produce the original documents relating to their age, qualifications, experience and fitness etc. at the time of interview. How to Apply : Application in the prescribed format should be send on or before 25/02/2012. Staff Selection Commission will hold a Combined All India Open Examination on 08/04/2012 for recruitment to the posts of Junior Engineer (Civil) and Junior Engineer (Electrical) in Central Public Works Department (CPWD) and Department of Posts, Junior Engineer (Civil), Junior Engineer (Electrical & Mechanical), Junior Engineer (Quantity Surveying & Contract) in Military Engineering Service (MES), Junior Engineer (Civil & Mechanical) in Central Water Commission (CWC) and Farakka Barrage. Farakka Barrage: will be determined in due course. Age Limit : Relaxation in age as per rules. Upto 32 years for Junior Engineers (Civil & Mechanical) in CWC and Farakka Barrage. Fee : Rs. 100/- in the form of Central Recruitment Fee Stamps. No fee for SC/ ST/ PH/ Women and Ex-servicemen candidates. Jr. Assistant (Trainee) : 32 Posts, Pay Scale : Rs. 9160 – 3% - 13150, Age : 18-28 years. Translator (Hindi/ English) : 03 Posts, Pay Scale : Rs. 9160 – 3% - 13150, Age : 18-28 years. Application Fee : Rs. 270/- (Rs. 70/- for SC/ST/PWD candidates) to be paid in branches of SBI by cash. How to Apply : Apply Online at SAIL upto 20/01/2012 only. Application Fee : Demand Draft from any nationalized bank for an amount of Rs.500/- drawn in favour of “Rashtriya Chemicals and Fertilizers Ltd.,” payable at Mumbai (No application fees for SC/ST/PWD candidates and the Children /Family members of the victims of 1984 riots). How to Apply : Application in the prescribed format should reach to the office of General Manager (HR) C. , Rashtriya Chemicals & Fertilizers Limited, 1st Floor, Room No. 108, Administrative Bldg, Chembur, Mumbai - 400074 on or before 19/01/2012. Qualification :The candidate should possess a degree of Bachelor of Arts or Bachelor of Science or equivalent thereto from a recognized university. He should have passed matriculation with Punjabi as one of the subject and must have proficiency in operation of computers (word processing and spread sheets). Remarks : In the case of persons already in the employment of the Punjab/Haryana Govt., other State Govt. or the Govt. of India, High Court, other Subordinate Courts and U.T. Chandigarh. Last date/time for Registration Step 1 : 25.01.2012 10:00 A.M.
Last date/time for Registration Step 2 : 25.01.2012 11:59 P.M.
How to Apply : The online registration/filling of application forms by the candidates will consist of two steps. 1. Registration Step 1: Candidate will get his Registration ID and Password and will print 'Cash Deposit Receipt' for deposit of Fee in the bank (State Bank of India). 2. Registration Step 2: Candidate to fill the remaining particulars, fee payment details in the form and to submit the form. 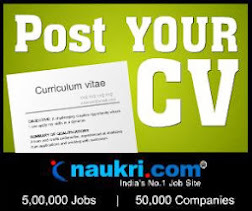 How to Apply : Apply in the prescribed format by ordinary post in an envelope superscribing "Name of the Post .......... " to Chief Human Resource Manager, Indian Oil Corporation Limited (Pipelines Division), Western Region Pipelines, Post Box No. 1007, P.O. : Bedipara, Morbi Road, Gauridara, District Rajkot - 360003 (Gujarat) latest by 31/01/2012. Application Fee : Rs.300/- (Rs.150/- for SC/ST/PWD) in the form of Bank Draft of SBI drawn in favour of Registrar, Manipur University, Canchipur payable at SBI, MU, Canchipur. How to Apply : Application in the prescribed format should be send to the Registrar, Manipur University, Canchipur, Imphal - 795003 on or before 06/02/2012.